Regular or hammer curls? Doesn't matter because I'll fake smile through either. The exercise that I spite most is the dumbbell bicep curl. Compared to the rest of my muscle groups, my biceps have always been the weakest -- "all show, no go." Because I don't change up my bicep routines often, they are boring and I've plateaued at around 15# for db curls. Here's a breakdown of the 3 sets that get you to 21. The first 7 reps are partial reps that start with a half a bicep curl and ends with curling the weight up towards your chest. 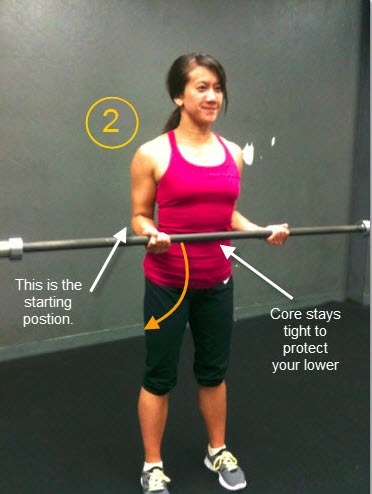 As you bring the weight down to begin your next rep, stop when your arms are perpendicular to your body. 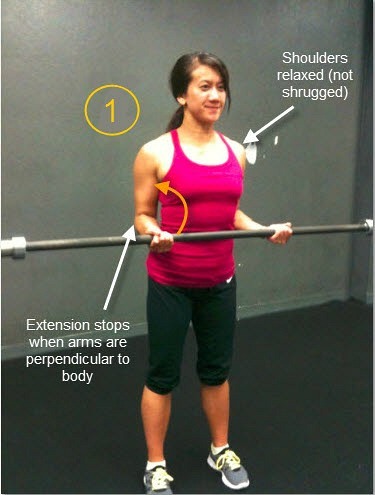 The next 7 reps are also partial reps. The start of this movement is the same as above, except this time, the movement ends with you extending the weight down towards your quads. The last set of reps are 7 full range bicep curls. All the way down and all the way up. You are suppose to work your way through all 21 reps before resting. If you are just starting out with this technique, rest as needed but don't stop or let your muscles cool down before you continue. Push through it. The technique is an effective way to build muscle and change up your usual curl routine. Incorporating 21s into your routine every 4-6 weeks is also a way to break plateaus. Your muscles can't just use muscle memory to get through this. Men's Fitness has the best quick explanation of 21s that I've found online. I usually work 21s in between a chest exercise. The muscles are usually fatigued by the time the full range bicep curls are done, so a little more recovery is needed in between sets. 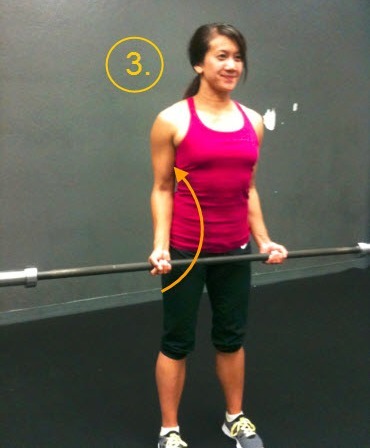 You can use a barbell, dumbbell or even cable machine for 21s. For me 3 sets of 21s is much more palatable and fun than 3x15 regular curls. 21s are commonly used for squats too. My biceps are guaranteed sore after 21s. Do you use 21s for anything else? I've used the technique for squats but haven't heard them for anything else...wondering if there's something else I should try. Nat! You never told me you were writing a blog! Way back when i started......looks good! When is yor next competition? Same trainer?